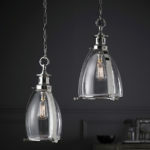 The Storni small clear glass and chrome pendant light, a 21cm clear glass bell ceiling pendant, with polished chrome outer cage detailing, matching finish shade holder and adjustable height suspension chain. Height adjustable at the time of installation by simply removing one or more of the suspension chain links to a minimum height of 64cm and maximum drop of 135cm. 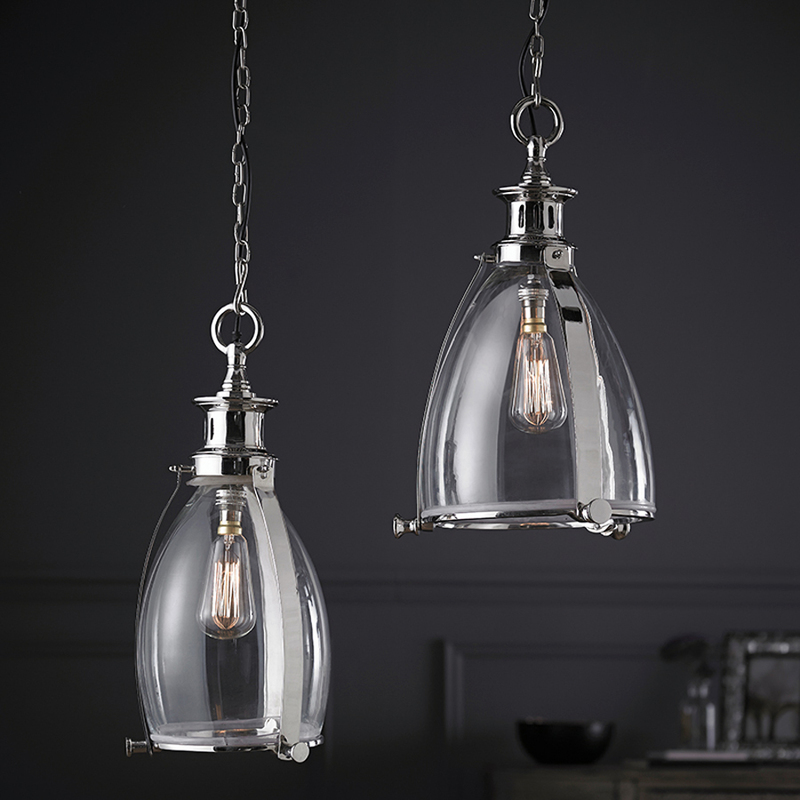 From our range of retro ceiling lighting products. Two year manufacturers warranty.